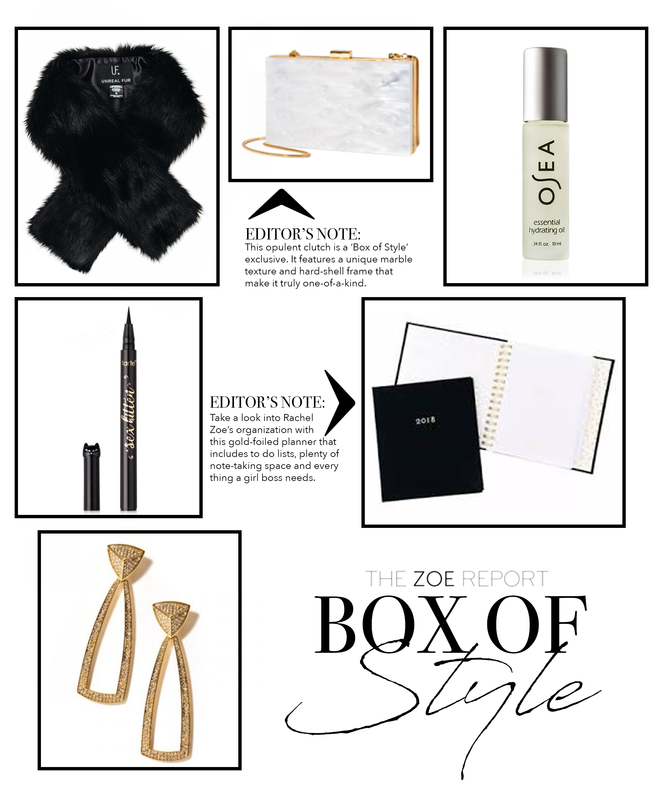 The Zoe Report returns with yet another Box of Style — perfect timing for the beginning of a new year. While earlier boxes focused on a blend of beauty, style and lifestyle, this season’s box upped the ante, feeling like a glamorous, vintage time capsule that your fashion godmother left behind to help you kick off a productive 2018. Rachel Zoe collaborated with some of her favorite brands to add a more personal touch than we’ve seen in any of the boxes so far. Each one-of-a-kind piece is sure become a staple item in your life that you reach for time and time again. Every season’s box introduces us to a finely curated selection of valuable goodies that become staple necessities in our lives. But this Winter’s box feels like an early Christmas treat, filled with opulent goodies that just scream ‘treat yourself.’ This season’s box sticks to a monochromatic theme of black and white with hints of gold that immediately makes you think of the ball dropping in New York City on New Year’s Eve. There’s also an incredibly chic, vintage vibe to the box, filled with fashion pieces inspired by Rachel Zoe’s favorite era’s — from the refined 20’s to the ultra glam 60’s and 70’s. Read more to hear my review on this season’s box and use code ‘LOREN10′ for $10 off your very own Box of Style! 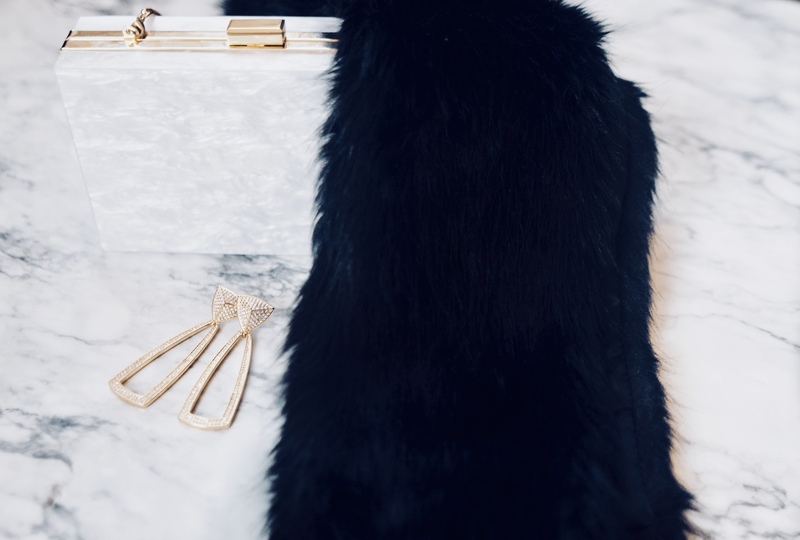 This bag will immediately remind you of the fancy clutch your grandmother wore for special dinners and outings. It’s the perfect combination of modern and classic, incorporating hints of glamour reminiscent of the 60s and 70s. 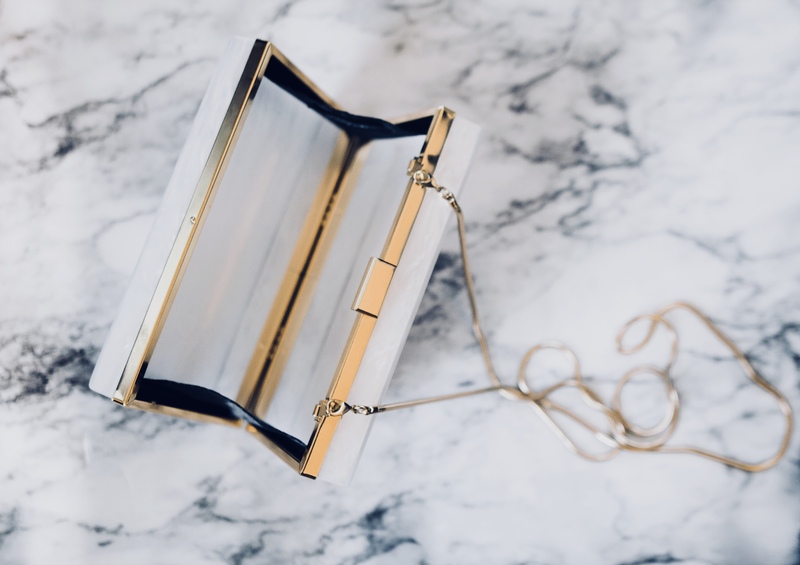 It is a symmetrical square-shaped clutch with an optional gold chain strap and hardware. It’s solid and compact with just enough space to hold your essentials. This bag comes in two colors — white and black. The white option has a gorgeous marble texture that reminds you of your favorite influencer’s Instagram feed. 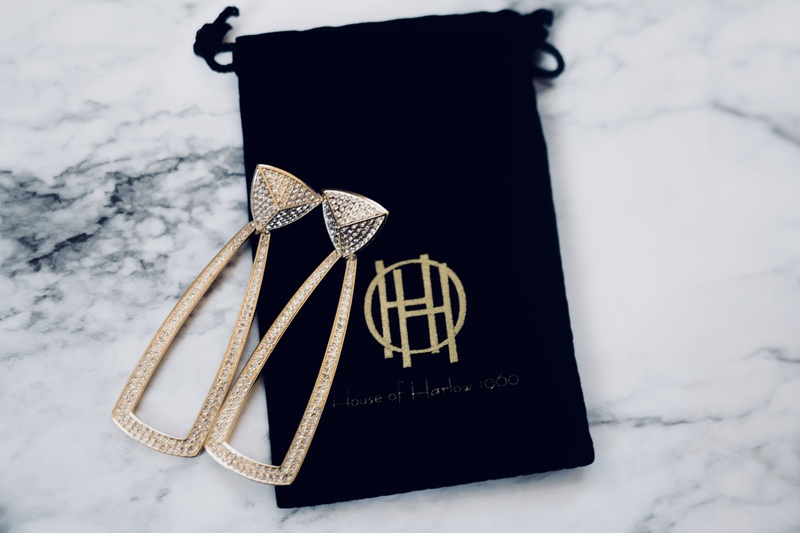 You just found your NYE earrings! These 80’s inspired drop earrings are simple yet stunning. Their symmetry and touch of sparkle keep them modern, but they can easily pass for a special pair of earrings passed down from a stylish aunt or mother. They are a bit heavy in the ear, which only proves the level of quality that was considered in every detail. Pair them with a sleek dress and fur for a special night out or dress them down with a pair of jeans and stilettos. Fur stoles have proven to be the accessory of the season. 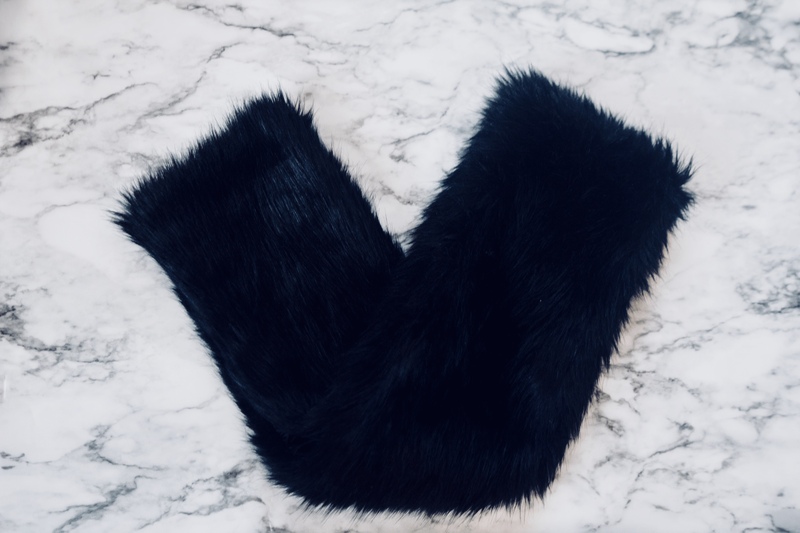 Rachel Zoe gifts ‘Box of Style’ subscribers with this mini-stole that gives you all of the opulence without any of the animal cruelty. It is incredibly soft and durable, with a black satin finish in the back. This stole can be worn on across the shoulder or as a collar over your favorite jacket. Paired with the Rachel Zoe clutch and House of Harlow earrings, you will turn heads with this glamorously chic style moment. The name of this liner literally speaks for itself. 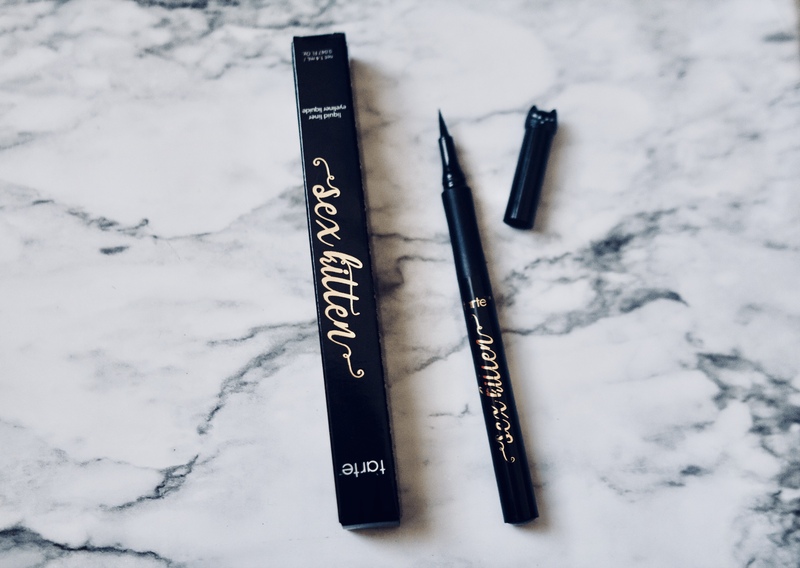 This waterproof, smudge-proof liner makes it incredibly easy to achieve a fierce cat-eye. It has a super-skinny felt tip that feels like a marker easily gliding on product. The applicator is also elongated and flexible, making it a goof-proof method that is ideal for novices and masters alike. Plus the packaging is simply adorable! It’s called essential for a reason. 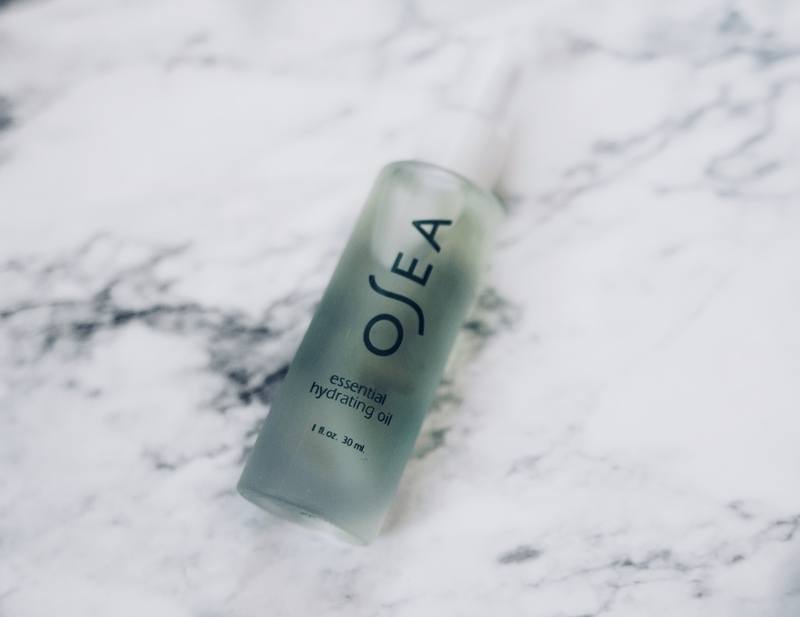 This daily serum is the perfect blend of essential oils that rejuvenate, hydrate and revive the skin: jojoba, sesame seed, lavender, rosewood and geranium. Together, these ingredients encourage dewy, illuminated skin. It’s a great base for dry skin before makeup or a great daily serum to bring your complexion to life. Plus it smells divine! Introducing the world’s dreamiest planner! While many people turn to their phones to plan out their day-to-day schedules, some people like to take it back to the fundamentals. And with a planner this perfect, there’s no need to wonder by. As a savvy businesswoman and fashion maven, we can only take a note or two from Rachel Zoe on how to stay motivated and on task. 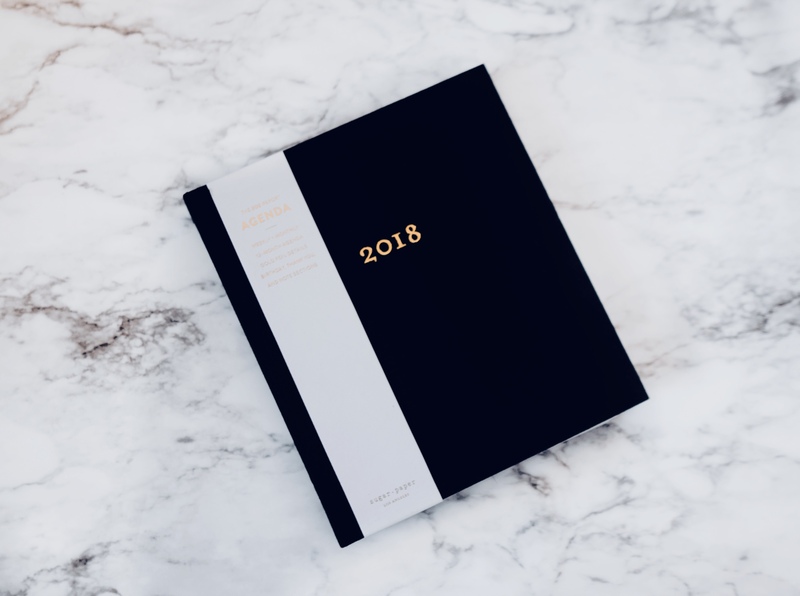 This planner combines all of that into one pretty package, incorporating everything a good planner needs: To do lists, space to jot down ideas, quotes from inspirational women, full-spread calendars, and plenty of writing space. 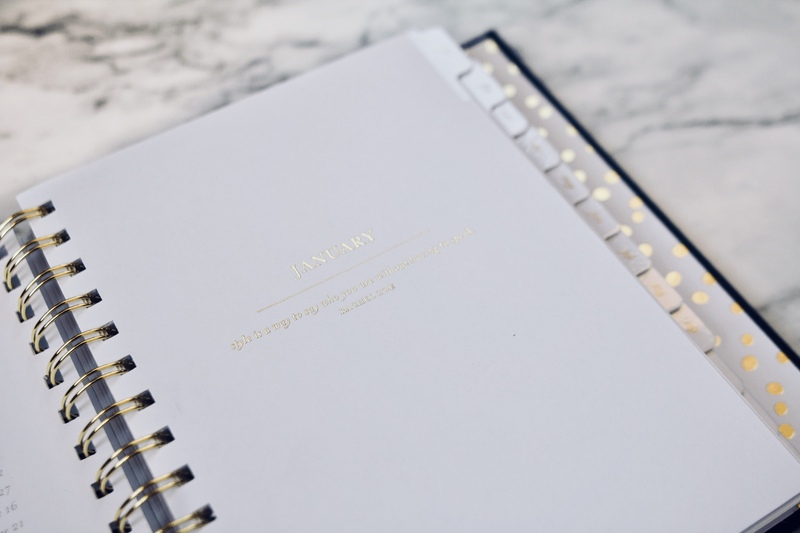 With a planner like this, there’s no reason to feel inspired throughout the year. for $20 off your annual subscription! This post was brought to you by Box of Style, all opinions are my own. Thank you for supporting the brands that make House of Loren possible.